We cruise cruise around the Four Counties Ring anti-clockwise from Autherley Junction. 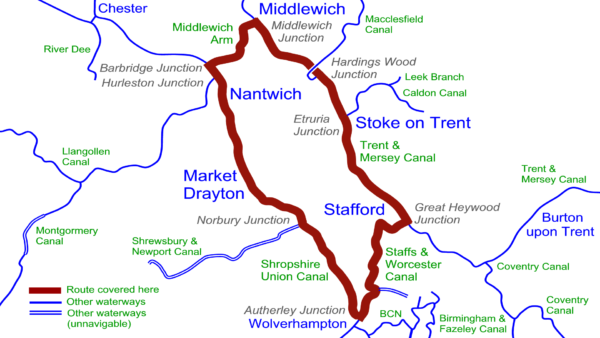 First the twists and turns of the Staffs & Worcester Canal from Autherley Junction to Great Haywood Junction passing landmarks like the tower at Gailey and Tixall Wide. 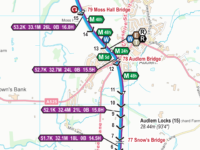 Then heading north on the Trent and Mersey Canal to the summit level and the famous Harecastle Tunnel before descending Heartbreak Hill to reach Middlewich Junction. The climb back up starts immediately with the four locks of the Middlewich Arm taking us to Barbridge Junction. This includes the Wardle canal – the shortest in the country, with just one bridge, one bend and a lock. Finally the Shropshire Union Canal takes us along unusually straight sections, through the cuttings and over the embankments typical of this canal. 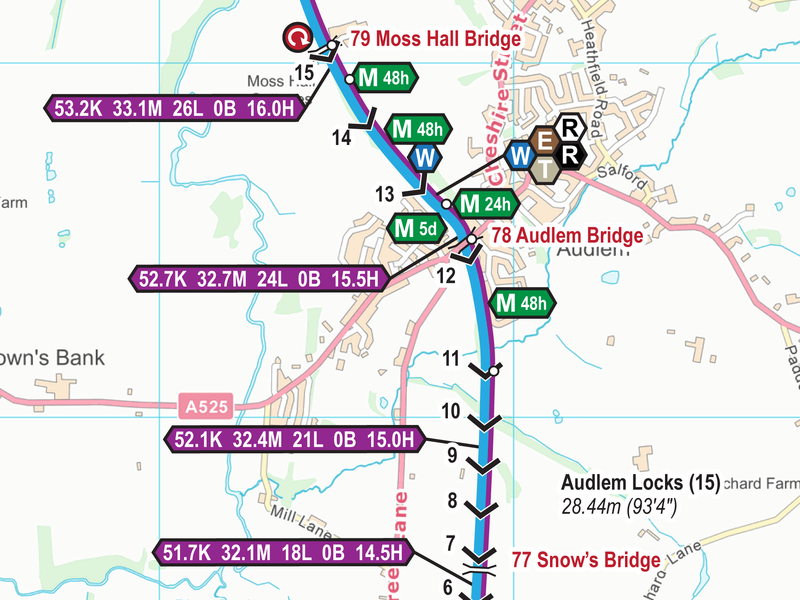 The locks are in flights, including the 15 locks at Audlem near the pretty village. 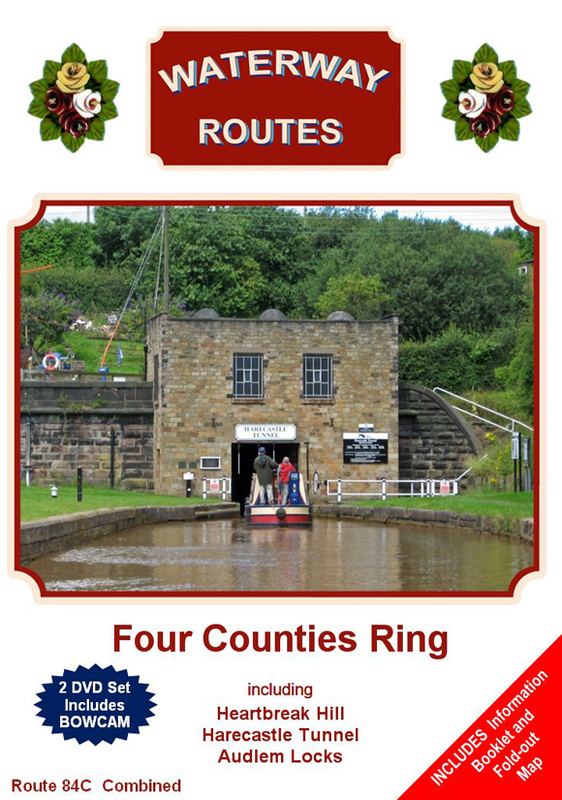 Route covered by the Four Counties Ring DVDs. 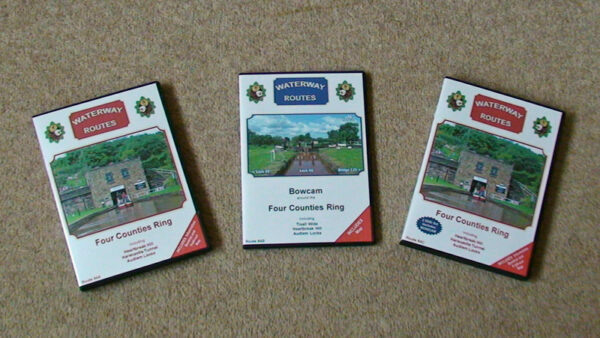 Four Counties Ring DVDs in a choice of formats. Contents of Cheshire Ring Combined DVD – the Four Counties Ring contents are similar. Extract from my Four Counties Ring Maps. Read more about my Four Counties Ring Maps. 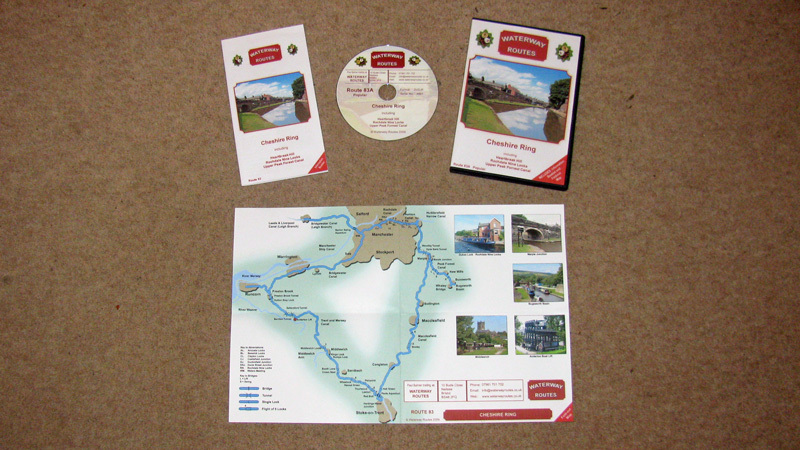 Save 10% on both when you buy a Four Counties Ring Map and DVD together. Automatically deducted at checkout.